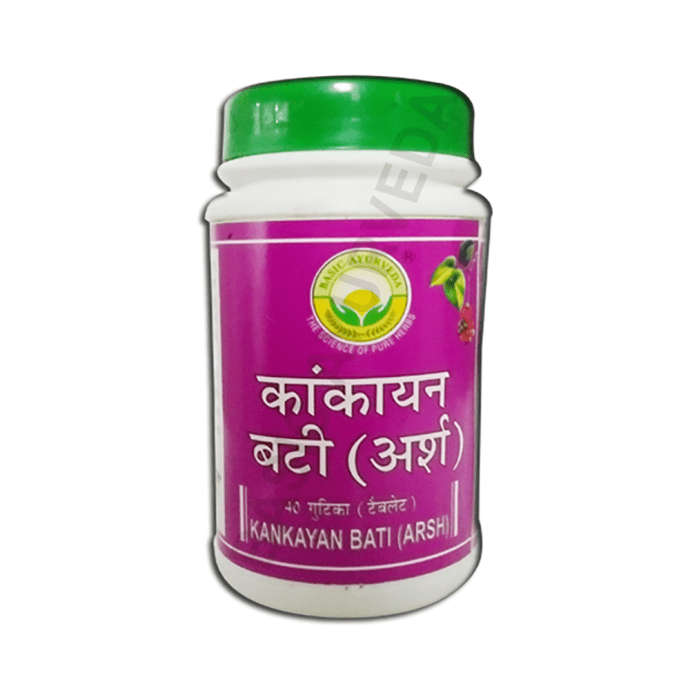 Basic Ayurveda Kankayan Bati is a medicinal tablet that is used for the treatment of intestinal worms, bloating and piles. The tablet is used as an Ayurveda treatment to cure different diseases. The fine powder of herbs is triturated with the help of lemon juice and is rolled into pills.